The 2017 Chevy Spark in Cincinnati, OH might be one of Chevy’s smallest vehicles, but it’s a big deal in the automotive world. First, a starting MSRP of $13,000 for a brand new car is nothing to turn your nose up at, especially with the average price of a new car listing around $32,000. Combine that with its small weight, and you have a car that’s going to return a jaw-dropping amount of fuel-efficiency. If you can get past the small size of the Spark, then you’ll be able to save money both up front and in the long-run. Whether you’re just trying to scrape by in college, or find yourself looking for a fun retirement vehicle, the new Chevy Spark is a high-tech ride. With all the latest and greatest entertainment and convenience technology from Chevy on board, you’ll experience an unparalleled amount of fun. Parents will also love this vehicle for their teenagers, because it’s a safe and secure ride. With plenty of available advanced safety features to help prevent a collision, protect in the event of one, and even respond to a collision. Tell me what other fully-loaded vehicle can offer all this and more for less than the average price of a new car? Very few, and those aren’t Chevys, and that means you aren’t getting nearly the same level of quality craftsmanship. The 1.4-liter four-cylinder engine might sound familiar, because it was also on the 2016 model. But, that doesn’t mean the 2017 model is outdated by any means. Chevrolet preaches and practices the motto “if it ain’t broke, don’t fix it” with all its cars. The Spark comes equipped with either a five-speed manual transmission, or an optional CVT. If you’re worried that 1.4-liter engine won’t provide enough power — which is understandable, since it’s a small engine — with the 98 horsepower and 94 lb.-ft. of torque it delivers, you need to remember this is a vehicle that only weighs between 2,246-2,278 pounds, depending on what’s equipped. So, this engine kicks out more than enough power, since there isn’t a lot of car to push down the road in the first place. Even if it’s a little slower getting on the highway than a big SUV with a V8 engine stuffed under the hood, its 0-60 mph run of 11.3 seconds is still punchy enough to get you on the highway safely. Don’t forget, consumers looking at buying a Spark aren’t expecting some ground-breaking speed. They’re looking for a fuel-efficiency from an easily maneuverable car, most likely for a city environment, where the 2017 Spark excels. With the five-speed manual transmission and its 9-gallon tank, the Spark gets 29 mpg city/38 mpg highway. The CVT automatic transmission gets 30 mpg city/38 mpg highway, better than most small sedans or crossovers on the market. In 2017, it would be foolish to associate a smaller vehicle with poor safety. Automakers have figured out a way around that predicament at this point in time, and most small vehicles are getting similar safety scores to the larger ones on the market. For example, the 2017 Spark received a top rating of “Good” in the moderate-overlap frontal off-set impact collision and side-impact tests. Meaning that if you end up getting hit from the side or rear-end someone (if the active safety technology doesn’t prevent it first) then you’ll still be perfectly protected. Now, I’m not saying that the Spark can withstand the same abuse from a collision as an SUV or a truck. But when compared to your average family-size sedan, it holds its own just fine, especially given the 10 standard airbags and a high-strength steel safety cage that both surround the cabin. Essentially, the Spark turns into a reinforced cushion if a collision occurs. Of course, that would mean the preventive technology would have to fail first, which is unlikely. The Spark is equipped with the latest and greatest active safety technology that’s meant to both prevent a collision, and respond to an accident if one occurs. The best way to avoid a conflict? Not engage in one in the first place. The same principle applies to all Chevrolet vehicles on the market, courtesy of active safety technology, like forward collision alert and lane departure warning. These two systems are designed to get you out of harm’s way by using sensors to detect potential threats and then provide you with corresponding warnings. Potential threats could involve you leaving your lane unintentionally (detected by not using a turn signal) or finding yourself en route to making contact with a vehicle in front of you. Having a safety cage and 10 airbags is great, but what happens when the dust settles? The danger isn’t over, and you might need emergency assistance fast. That’s where OnStar Automatic Crash Response comes into play. An advisor is automatically connected to your Spark after sensors detect there’s been a collision. The advisor will contact you and ask if you need assistance. If you do (or can’t respond) then he or she will immediately notify emergency services of your location. That way if you can’t reach your phone to dial 911, you and you’re loved ones are still safe. For some, entertainment technology is the most important aspect of a vehicle. Performance and safety can even take a backseat for certain consumers if the vehicle has good phone connectivity. 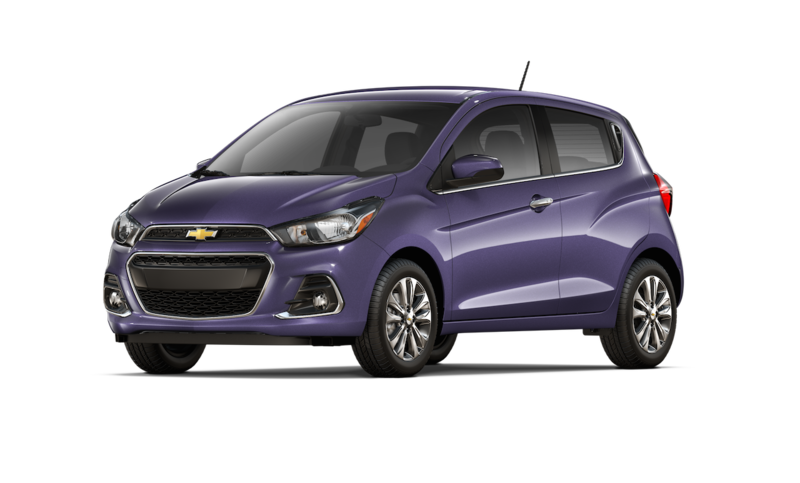 Chevrolet makes sure to stay on top of technology with its vehicles, and the 2017 Spark in particular is a vehicle that’s laden with technology. For 2017, all Chevrolet models have support for both Apple CarPlay and Android Auto. You don’t have to pick the Spark solely based on which side of the phone feud you’re on. With both of these systems, you’re able to connect your smartphone to Chevrolet’s MyLink display. Then, you can access things like your calendar, music playlists, Google Maps, get directions, and use some of your other favorite apps. The display, in particular, is a 7-inch diagonal touchscreen, the central hub for most of your entertainment and convenience technology. On its own, you have access to SiriusXM Satellite Radio, Stitcher SmartRadio, OnStar technology, and more. When you equip Apple CarPlay and Android Auto, your mobile phone integration is seamless as ever throughout that 7-inch display. If you don’t like using the touchscreen for everything, then it’s a good thing the Spark has some buttons on the steering wheel that can be used for certain functions. Part of OnStar’s subscription (which is free for the first few months when you buy the Spark) is a 4G LTE WiFi Hotspot, allowing you to connect up to seven devices, be it phone, tablet, or laptop, for a connection that’s much faster than using your data. This is key, especially if you hook your smartphone up to your car and enjoy using internet-based apps. Car-based WiFi for wherever your travels take you — what a time to be alive! Straddling the border between a convenient and safety feature, and maybe considered entertaining for some, is the Rear Park Assist technology. If you thought maneuvering the Spark through cramped spaces was easy because of its tiny stature, then you’ll be blown away by how easy it is to back into a crowded spot after you’ve zipped through the congested lines of vehicles. The smallest parking spot is available to you in the Spark, and Chevy wanted to capitalize on that. This program works with the Spark’s standard rear vision camera to provide alerts when you’re getting too close to an object that’s behind you. It will provide alerts via varied beeping dependent upon the proximity of the Spark to the other vehicle. 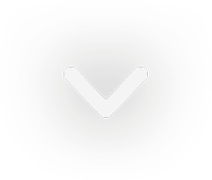 An image will pop up in the center display with guiding lines to help you park as straight as an arrow in that tiny space. That’s only a fraction of the technology that’s available on the 2017 Spark. Rest assured the Spark has got everything you could ever want and more for an entertaining and convenient ride – whether that’s a 5-minute trip to the grocery store, or a 35-minute commute to work.